Check out this week's in-depth coverage of the Colorado culture scene from CPR's Arts Bureau here. 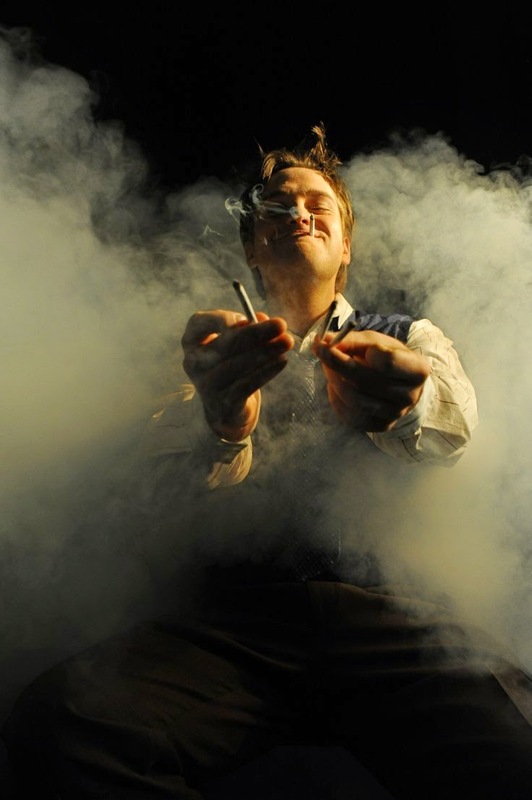 With its production of the satirical musical “Reefer Madness,” the Colorado Springs Fine Arts Center is the latest in a fast-growing list of Colorado cultural institutions experimenting with pot industry partnerships. CPR arts reporter Stephanie Wolf examines why the state’s arts and pot scenes are getting cozy. Three Denver fifth-graders beat out more than 3,300 children from around the country to sing with the National Honor Choir in Salt Lake City. CPR education reporter Jenny Brundin spoke with the students about why they love to sing. Quentin Tarantino's "Hateful Eight" movie shoot continues to boost Telluride's economy, as evidenced by a Telluride tire shop's record sales. CPR arts reporter Corey H. Jones spoke with Telluride Tire owner Stuart Armstrong. In 1925, Edith Lake Wilkinson was committed to an insane asylum, and her artwork was packed away in a trunk for 40 years. Fort Collins-based songstress Danielle Anderson, known onstage as Danielle Ate the Sandwich, recently scored a documentary about the artist. She talked with CPR's Ryan Warner about setting music to this sad story. Colorado College senior Rebecca Celli answered five questions about her "Silenced Film Series," a series of talks and screenings she organized in Colorado Springs to highlight the inequalities within the film industry. For the first time ever, a Colorado music festival received the “Music Festival of the Year” recognition at the Pollstar Concert Industry Awards in Nashville. Planet Bluegrass, which runs Telluride Bluegrass Festival, tells CPR it was an unexpected honor. The Denver Center for the Performing Arts named Scott Shiller as its new CEO and president Thursday. Shiller, who has been executive vice president of the Adrienne Arsht Center for the Performing Arts in Miami, will replace Daniel Ritchie. His tenure begins May 1. Bluegrass musician Jake Schepps' latest album, "Entwined," features songs that veer between traditional sounds and contemporary classical. Schepps sat down with Colorado Matters host Ryan Warner to talk about how contemporary classical composers inspired his latest tracks. The City Council of Woodland Park, a small city in the Pikes Peak region, approved the installation of a 125-foot mural last week. CPR arts editor Chloe Veltman reports on how the artwork will use technology to connect visitors with the region's history seeped in Native American culture. Arts happenings around Colorado this weekend: CPR’s Arts Bureau spotlights this weekend’s Colorado cultural happenings, including a musical rendition of the film "Big Fish," Estonian music, a West African festival and more.